The Centre of Indian Trade Unions congratulates and salutes the working class of India for their unprecedented active participation in the two days’ country wide general strike that started on 8th January 2019. 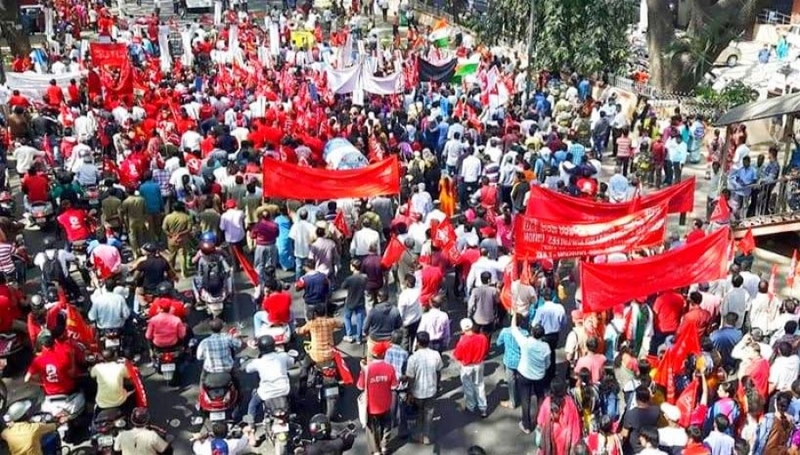 Around 20 crore workers, from all sectors of the economy – organised sector, both public and private including in the Multinational companies, in the government and quasi government sectors, scheme workers, unorganised sector workers have reported to be participating in the strike across the country. The strike would continue on 9th January. The workers’ strike has received tremendous support and solidarity from all sections of people. In almost all the states, peasants, agricultural workers, students, youth, women and others joined in processions and demonstrations in support of the strike. Rasta and rail rokos were held across the country severely affecting running of trains. Bandh like situation prevailed in several states including Kerala, Assam, Odisha, several districts of Karnataka and the north-eastern states. Road transport was seriously affected in most of the states including Kerala, Karnataka, Maharashtra, Bihar, Haryana, Punjab, Uttarakhand etc. In Madhya Pradesh road transport was seriously affected in 22 districts. Interstate buses could not run in Jammu and Kashmir due to the strike. In West Bengal, despite the terror by the Trinamool Congress workers, road transport, both passenger and goods, remained severely affected and several industries including jute and engineering industries remained closed. In Tripura all the pressure from the BJP led government and its party goons could not force open more than 30% of shops and run 30% of buses. In the tribal areas of Tripura there was total bandh. 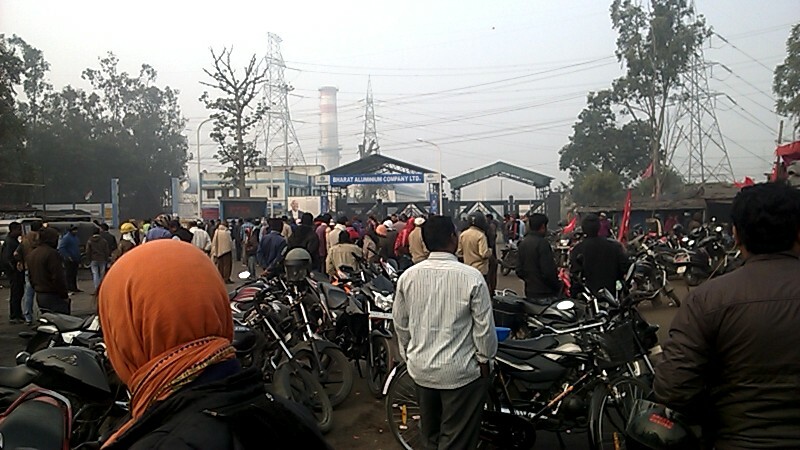 The strike was highly visible in the industrial areas of NCR Delhi, 24 Paraganas, Hooghly and Howrah districts of West Bengal, in the oil refineries across Assam, in Pune, Nashik and Aurangabad industrial areas in Maharashtra, in the industrial areas in Bengaluru, Mysore etc in Karnataka, in Ludhiana in Punjab, in the Bokaro, Ranchi, Adityapur Gamharia industrial areas in Jharkhand, in the engineering clusters in Baroda, Surat, Bhavnagar, Rajkot, Junagarh and Ahmedabad in Gujarat and the industrial clusters in Hyderabad and surrounding districts in Telengana etc. It was total in multinational companies like BOSCH, CEAT, Crompton, Samsonite in Maharashtra and in all the units of Volvo, Toyota and its subsidiaries in Karnataka. All over the country, workers struck work and marched in processions in thousands and held rallies and public meetings. Strike was near total in the coal industry affecting production and dispatch. It was almost total in Vizag and Salem steel plants and also in all the iron-ore and coal mines under steel industry, around 50% in Rourkela steel Plant and Bhadravati, while partial in others steel plants. The participation of contract workers in most of the PSUs was total. 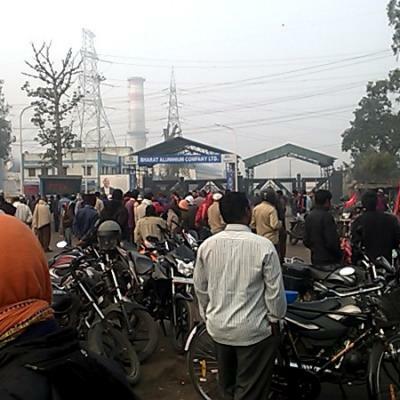 Electricity employees in many states joined the strike en masse. 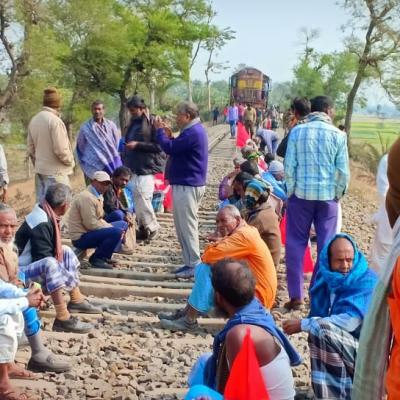 Though the railway employees did not join the strike, in several places they extended support. 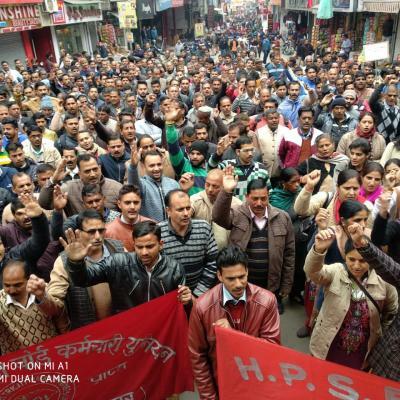 The railway contract workers and goods shed workers, safai karmacharis joined the strike in several states. The tea gardens in Assam, West Bengal and Kerala were totally closed due to the strike. 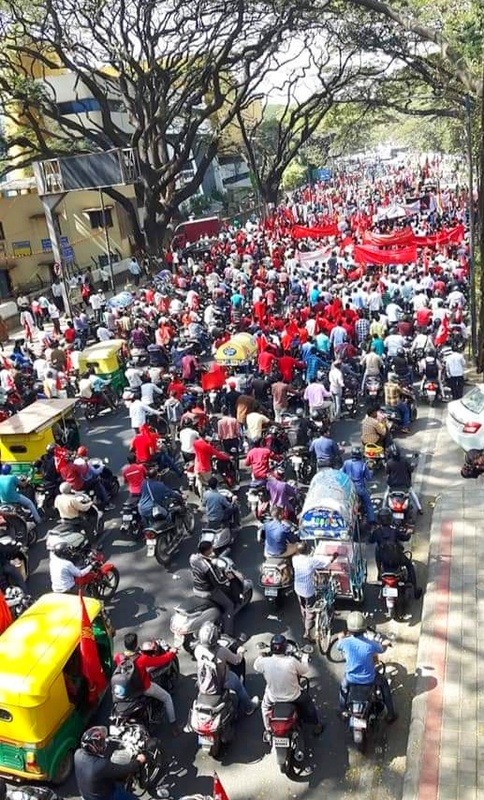 Unorganised workers including beedi workers, construction workers, loading and unloading workers, shop employees, private hospital employees etc joined the strike in a big way in many states and organised Road –roko and Rail-roko in many places paralysing the normal traffic. 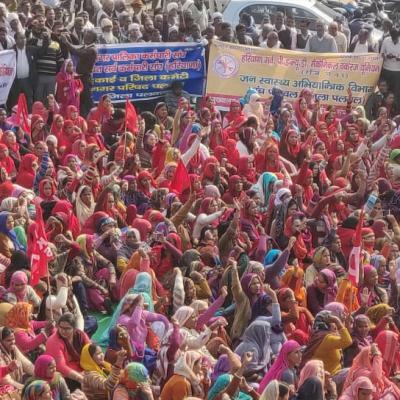 Scheme workers including anganwadi employees, ASHAs, midday meal workers and others joined the strike en masse across the country and participated in demonstrations. Strike was total in insurance and BSNL and near total except in a few banks in the banking sectors. 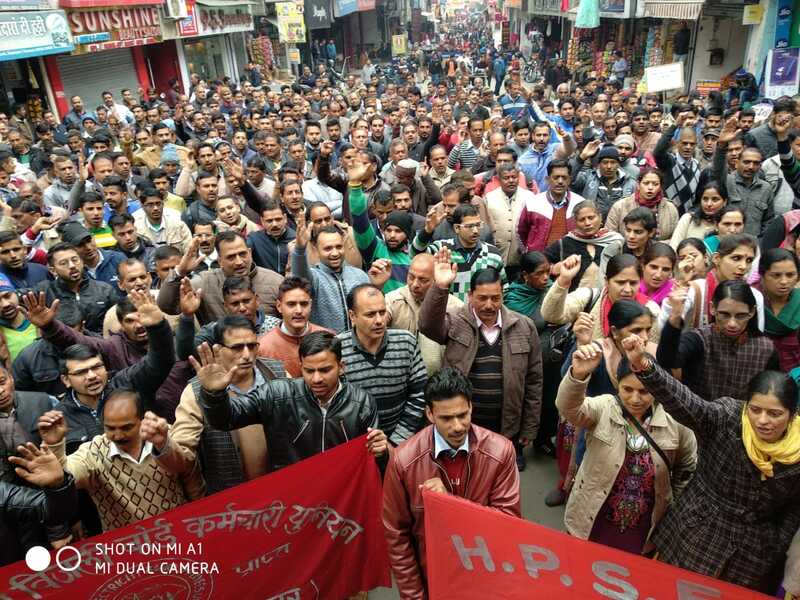 Central government employees participated in a massive manner in the strike, which was total among the postal and income tax departments. Atomic energy employees participated in a big way. It was total among medical representatives all over the country. In several states state government offices wore a deserted look due to the strike. In Tripura, though teachers were compelled to attend schools, there were no students. 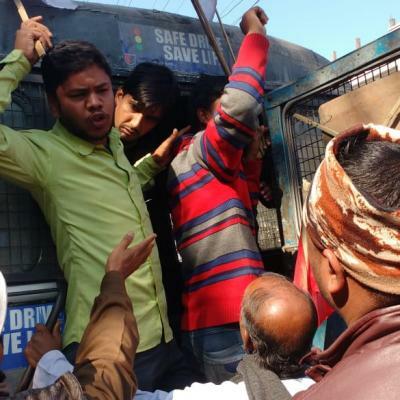 In several states including West Bengal, Assam, Jharkhand etc, police resorted to arrests. 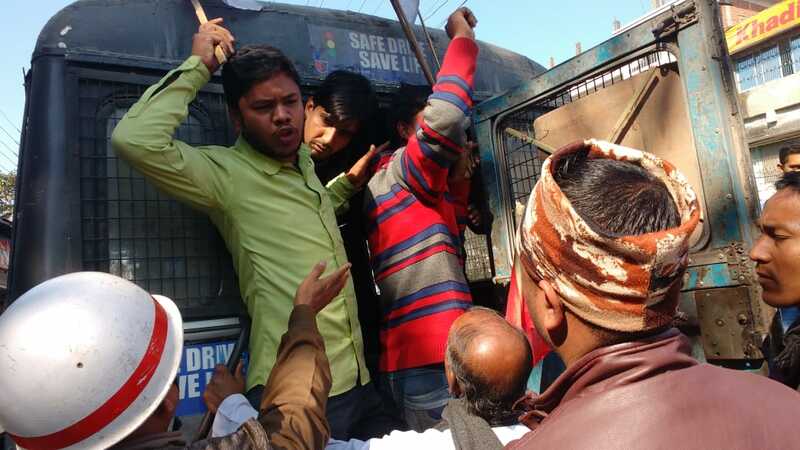 Thousands of CITU activists and Left party leaders were arrested. It is clear that the working class of India totally and unambiguously rejected the campaign led by the BMS against the strike. In several states and sectors, even members of BMS joined the strike. The unprecedented expanse and the active participation of the workers in the two days’ strike is a clear indication of the extent of anger and resentment of the workers against the neoliberal policies and the attacks on their working and living conditions perpetrated by these policies. 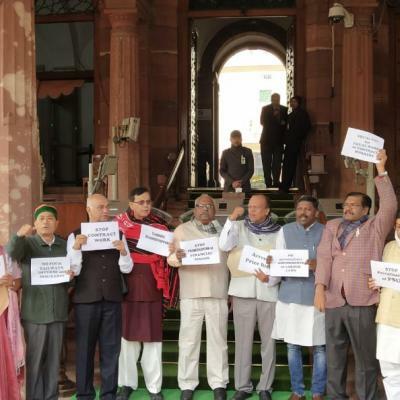 It is a reflection of their disillusionment and discontent against the BJP led Modi government which has hastened these policies for the benefit of the big corporates and business houses, both foreign and domestic, with least concern for the plight of the toiling people. This strike is a clear warning from the working class and toiling people of India that they were not going to take lying down the attacks on their basic rights and living conditions. It is a strong warning that policies that mortgage the country to corporate interests will not be tolerated. It is also a strong rejection of the communal and divisive policies of the BJP and its mentor and guide the RSS to divert the attention of the people from their burning day to day issues. 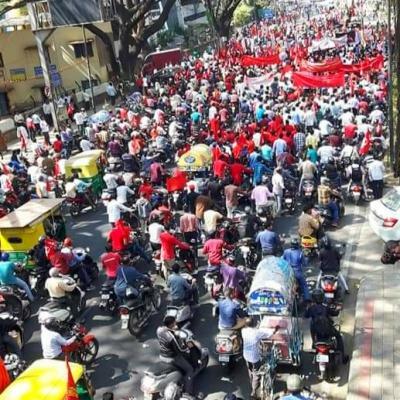 The CITU extends its gratitude to the massive support and solidarity extended to the strike by various sections of the people including kisans, agricultural workers, adivasis, youth, students, women etc and their organisations. 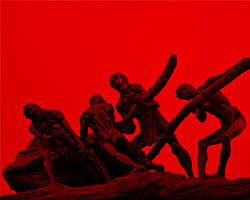 CITU demands the government to immediately put on hold all the anti worker amendments to the labour laws and take immediate concrete action on all the demands raised by the joint trade union movement. It calls upon the working class to further strengthen the unity at the grass root level and prepare for more intense struggles for the reversal of the neoliberal policies.